Techno Marketing Group’s (TMG) all-new, compact E-Cube mobile tyre service unit will be on display at next month’s Autopromotec show in Bologna, Italy. The Dutch-based firm’s E-Cube initially made its industry debut at Automechanika Frankfurt last September. Mobile tyre service units have a minimum of five or six different pieces of tyre servicing equipment stacked inside a light commercial vehicle which means tyre technicians have very little space to move around and are forced to work in cramped conditions. 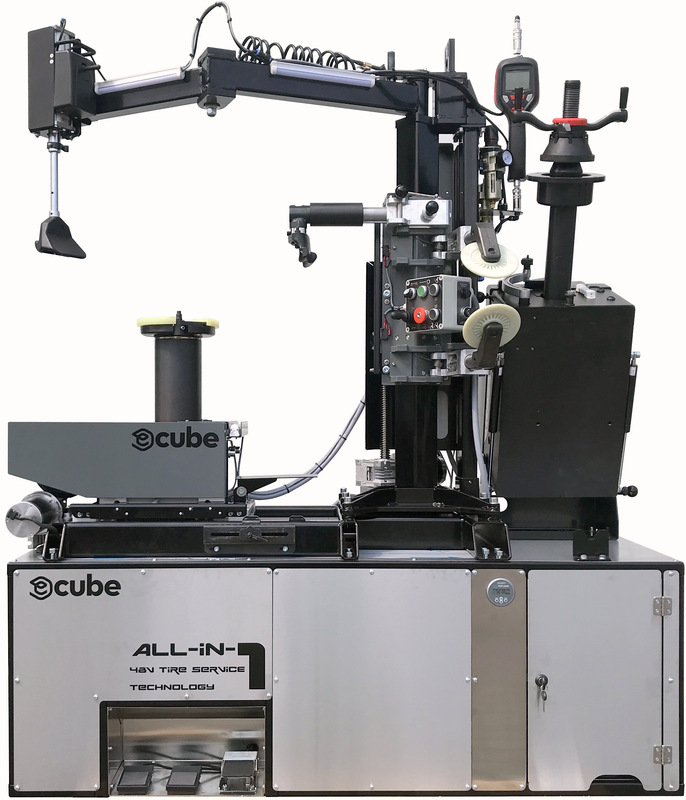 The E-Cube is a “completely new type of tyre servicing unit” that has been exclusively designed by TMG in partnership with Gaither Tool Co Incorporated based in Illinois, North America as an extremely compact and versatile single unit specifically for use in the mobile tyre service sector. Ralph Dubbeldam, Managing Director of TMG explains: “Our E-Cube system guarantees a totally original mobile tyre fitting solution that takes professional mobile tyre servicing to a much higher level and provides an additional workshop facility to enterprising car dealers, car workshops, garages and even car dealerships plus other types of company providing automotive services in the industry. The E-Cube covers a number of standard automotive checks including tyre changing, balancing and TPMS and can handle tyres from 10 up to 24 inches therefore accommodating with the entire market size range. Also being showcased on the Gaither/TMG booth in Bologna will be the I-Cube A/C Recovery, Recycling, Vacuum and Charging System for checking vehicle air conditioning on a mobile basis.